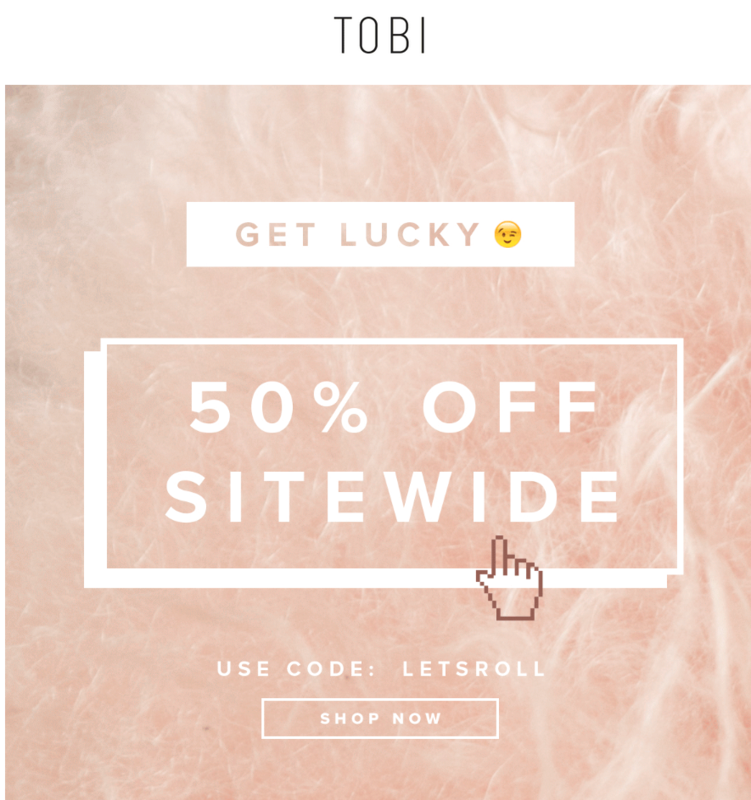 Get lucky with TOBI! 50% off sitewide! Simply use code LETSROLL.